If Microsoft decides to go through with the rumoured plans to ban used games on its next-gen console, there'll be blood in the streets, but at least Nintendo has no plans to do so. 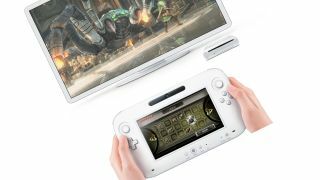 The Japanese giant has confirmed that it will not restrict pre-owned games on the forthcoming Wii U console, which may end-up giving it an unexpected leg-up on the much-vaunted Xbox 720. "We haven't incorporated any features that will discourage used game sales at this point. We're not trying to circumvent that," said Nintendo of America's Scott Moffitt in an interview with Gamespot. He said that the second-hand trade, which enables users to earn some cash on exhausted games in order to afford new ones, was "a reality in the marketplace" that Nintendo won't fight. The news is refreshing as Nintendo, more than any of the big-three console manufacturers, makes a large proportion of its coin from games developed in-house, thanks to the enduring Mario and Zelda franchises. The employment of such a tactic from Microsoft would be massively counter productive as no-one would be able to swap games with friends. Imagine a world where, instead of just bringing the newest instalment of FIFA to a party, you have to bring your console? Doesn't bear thinking about.